Chalk paint will thicken over time when exposed to air. To avoid thickening, store chalk paint in a tightly sealed plastic container. It is recommended not to store chalk paint in a metal container to avoid corrosion of the container contaminating your paint. We also don’t love glass just because, if you drop it and it breaks…yikes! 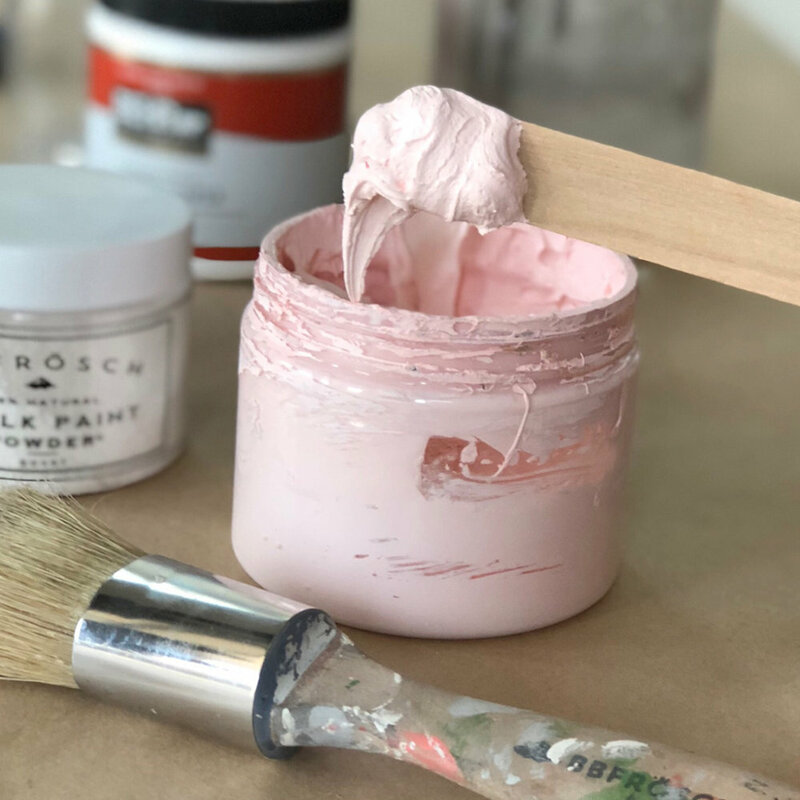 Depending on how much BB Frösch Chalk Paint Powder is added during the mixing process, the resulting chalk paint can become quite thick over time. Additionally, paint containing primer will also thicken when stored. NO WORRIES! Just gradually add water while stirring until the desired consistency is achieved. The ability of chalk paint to thicken means you can achieve additional finishes such as Impasto or a Venetian Plaster look and feel. If you haven’t tried painting with thickened chalk paint, consider it! You may discover a new finish you like! A final option for paint that has become thicker than you like is to simply not store mixed paint. Just mix up as much as you need for a project—if you need more later, mix more.